Bielstein Tower, located on the University of Oklahoma medical campus is in the heart of the campus that is part of an integral connectivity piece from the west side of the campus to the east. 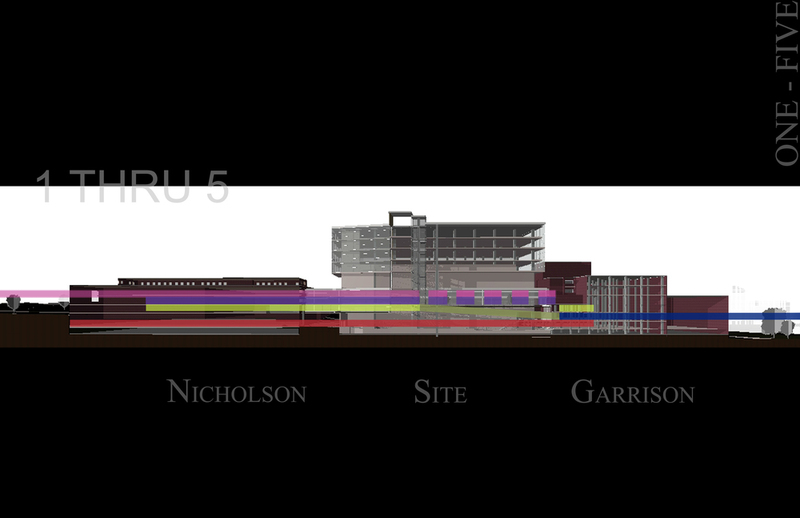 This proposal was based on a the dilapidated existing conditions of the building, its location, and a lack of parking on campus. 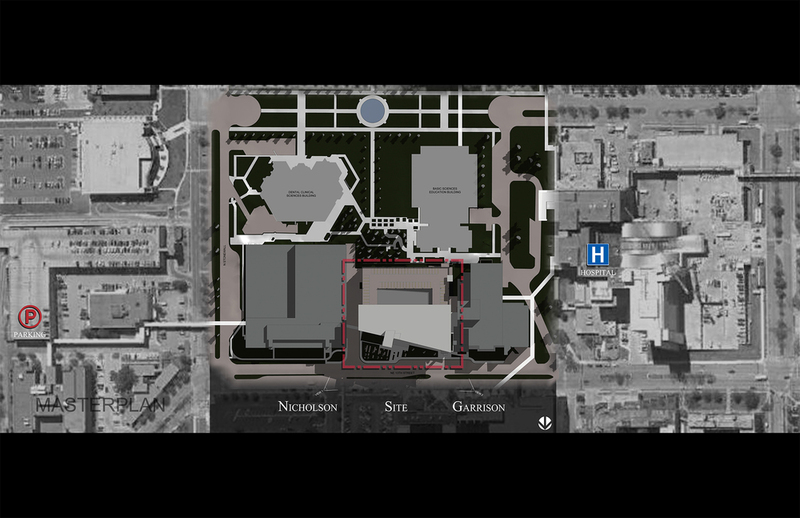 The proposed design offers enough parking to facilitate the surrounding campus needs while providing a connection hub for all the surrounding buildings. Nicholson Tower to the west needs to connect to Garrison Tower on the east, but the existing floor plates of the Bielstein Tower do not allow for a smooth transition. 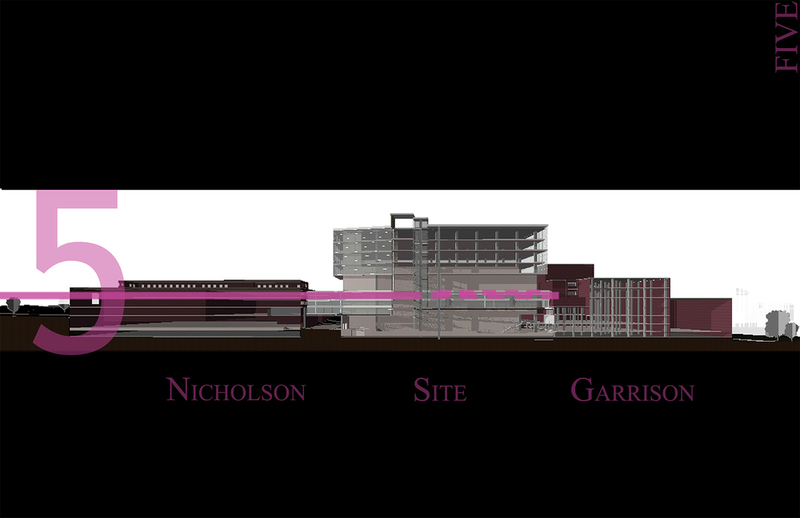 The proposal creates a connection atrium that allows for the transition to occur without having to travel outside or changed floors. Establishing a new face and entry point for the campus brings life and energy to the southern most side of the campus. The design also incorporated connectivity to the north of the campus and four levels of office space above the parking structure. 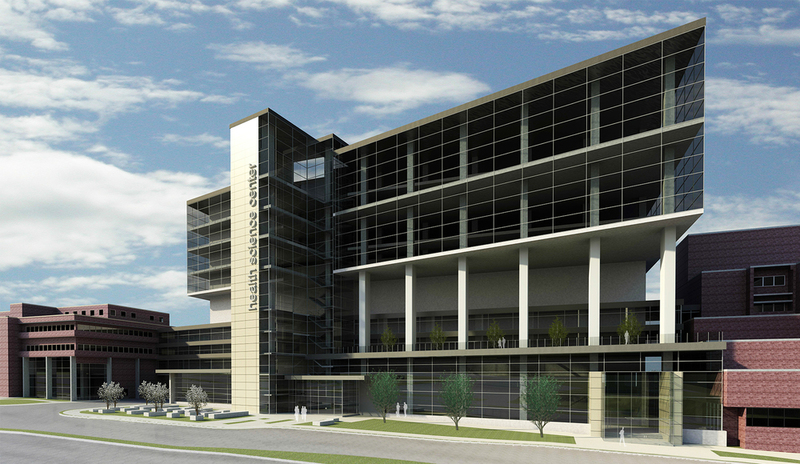 Project and work performed under Miles Associates as lead designer.